b. Use of Personally Identifiable Information. We will not sell or otherwise transfer or disclose personally identifiable information to third parties not affiliated with us without your prior consent (except as may be required by law, such as a court-ordered subpoena, search warrant, or other court order; or required by exigent circumstances). That means that we will never disclose your name, e-mail address, street address or phone number to third parties not Affiliated with us without your consent. We reserve the right to share your information with organizations affiliated with Site Owner (i.e., chapters, the IT Governance Institute®) without your permission. We reserve the right to perform statistical analyses of user behavior (on an aggregate basis) in order to measure interest in and use of the various areas of the site and to inform sponsors of such information. c. Encryption Technology. We use Secure Socket Layer (“SSL”) encryption technology to enhance data privacy and help prevent loss, misuse or alteration of the information under our control whenever personal information is collected. d. Cookie Technology. We collect non-personal identification information through the use of “cookie” technology and/or Internet Protocol (“IP”) address tracking. Cookies are small text files a web site can use to recognize repeat users and facilitate the user’s ongoing access to and use of the site. Non-personal identification information might include the browser used by you, the type of computer, the operating systems, the Internet service providers and other similar information. The system also automatically gathers information about the areas you visit on the site and about the links you may select from within the site to other sites. a. INFORMATION SUPPLIED BY SITE Owner IS PROVIDED "AS IS" AND NEITHER SITE Owner NOR ANY OF ITS AGENTS, EMPLOYEES OR REPRESENTATIVES MAKE ANY REPRESENTATION OR WARRANTY WITH RESPECT TO THE CONTENTS OF THE SITE OR INFORMATION FURNISHED BY THEM OR OUR AGENTS, EMPLOYEES OR REPRESENTATIVES AND SPECIFICALLY DISCLAIM TO THE FULLEST EXTENT PERMITTED BY LAW ANY AND ALL WARRANTIES, EXPRESS OR IMPLIED, INCLUDING, BUT NOT LIMITED TO, IMPLIED WARRANTIES OF MERCHANTABILITY, COMPLETENESS, TIMELINESS, CORRECTNESS, NONINFRINGEMENT, OR FITNESS FOR ANY PARTICULAR USE, APPLICATION OR PURPOSE. b. BY ENTERING THE SITE YOU HEREBY EXPRESSLY AGREE THAT Site Owner, AND ITS OFFICERS, DIRECTORS, AGENTS AND EMPLOYEES, SHALL NOT BE LIABLE TO YOU FOR ANY DAMAGES, CLAIMS, DEMANDS OR CAUSES OF ACTION, DIRECT OR INDIRECT, SPECIAL, INCIDENTAL, CONSEQUENTIAL OR PUNITIVE, AS A RESULT OF YOUR USE OF THE SITE OR ANY INFORMATION YOU OBTAIN ON IT OR ANY OTHER INTERACTION WITH SITE Owner. IN DOING SO, YOU AGREE THAT YOU ARE WAIVING VOLUNTARILY AND UNEQUIVOCALLY ANY LIABILITY OF SITE OWNER. c. Site Owner does not make any representation or warranty concerning errors, omissions, delays or other defects in the information supplied to users, or that its files are free of viruses, worms, Trojan horses or other codes that include or manifest contaminating or destructive characteristics. d. With respect to communications to Site Owner, Site Owner does not guarantee that it will respond to all inquiries. e. Site Owner is not responsible for your classification of contributions, dues or gifts for tax purposes. f. If any clause or provision set forth above is determined to be illegal, invalid or unenforceable under present or future law, then, in that event the clause or provision so determined to be illegal, invalid or unenforceable shall be severable without affecting the enforceability of all remaining clauses or provisions. 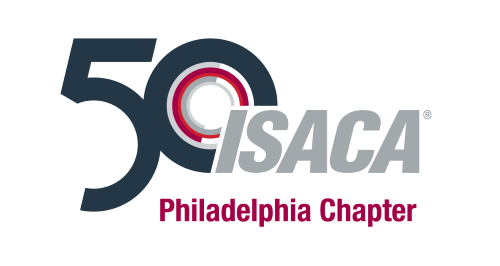 g. Any notice to Site Owner shall be given in writing and sent by certified and registered mail to Philadelphia Chapter of ISACA®, Attn: President, PO Box 58155, Philadelphia, PA 19102-8155 or by email. h. The application of these provisions, disclosures and disclaimers and all other matters arising from your use of this site or of any information you obtain from Site Owner shall be governed by the laws of the United States of America and the State of Pennsylvania. Any claims, disputes or other controversies relating to or arising from these provisions, disclosures and disclaimers or from your use of this site or any information you receive from Site Owner shall be brought exclusively in the United States District Court, the Eastern District of Pennsylvania, and you hereby expressly consent to the exercise of jurisdiction over you by such courts. YOU HEREBY ACKNOWLEDGE THAT THE PROVISIONS, DISCLOSURES AND DISCLAIMERS SET FORTH ABOVE ARE FAIR AND REASONABLE, AND THAT YOUR AGREEMENT TO FOLLOW AND BE BOUND BY THEM IS NOT THE RESULT OF FRAUD, DURESS OR UNDUE INFLUENCE EXERCISED UPON YOU BY ANY PERSON OR ENTITY. SITE OWNER MAKES NO REPRESENTATIONS, PROMISES, WARRANTIES OR UNDERTAKINGS CONTRARY TO THOSE SET FORTH ABOVE.